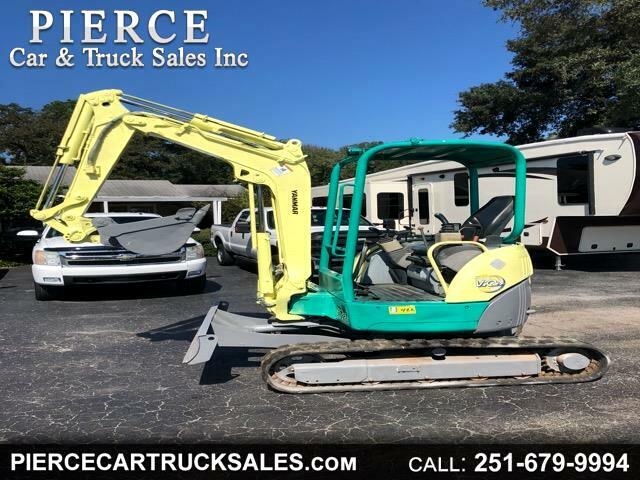 Used 2005 Yanmar Excavator for Sale in Satsuma AL 36572 Pierce Car & Truck Sales Inc.
YOU ARE VIEWING A 2005 YANMAR VIO27 TRACKHOE MINI EXCAVATOR. 24 HP. 3 CYL. DIESEL ENGINE. 2,101 HRS. OPERATING WEIGHT: 7,231 LBS. 17" HOE BUCKET. 9' MAX DIGGING DEEP. 15.1' MAX REACH. 5,170 LB. BUCKET. PUSH BLADE 5' LONG, 1' HIGH. IF INTERESTED GIVE US A CALL AT 251-679-9994 OR FOR MORE OPPORTUNITIES VISIT OUR WEBSITE AT WWW.PIERCECARTRUCKSALES.COM. Message: Thought you might be interested in this 2005 Yanmar Excavator.